Fig. 5-1-3-1 shows cleared cases and persons cleared for child abuse cases (The term “child abuse” is as defined in the Act on the Prevention, etc. 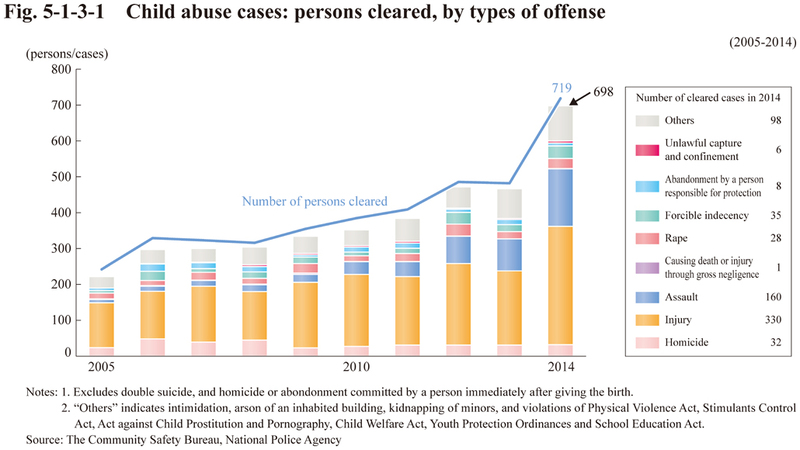 of Child Abuse (Act No.82 of 2000), an abusive act committed by a custodian against a child (under 18 of age) under his/her custody), by types of offense.